Pregnancy Pilates - These are not just your regular Antenatal Classes, but a very practical and empowering Antenatal Physio-Pilates Educational Programme where expecting mums are invited to share their expectations and experiences while preparing physically and mentally for D day! Deborah's work as a Physiotherapist in her Women's Health Clinic is about helping expecting mums to enjoy their pregnancy to the full with minimum pains and complaints that we all know it can be common during pregnancy. But just because it is common doesn't really mean that any mum-to-be needs to put up with it! Deborah's experience in treating pregnancy back pain, pelvic girdle pain, incontinence and other ailments helped her to develop and modify the exercises included in this programme, making them safe and effective. Deborah is a Chartered Physiotherapist with over 22 years continuous hand-on experience with dedicated training in Women’s Health Services and Continence. She is also a qualified Physiotherapist Antenatal Educator with 80 hours training and Prenatal Pilates and Postnatal Pilates Instructor preparing mums-to-be for their big day since 2002. 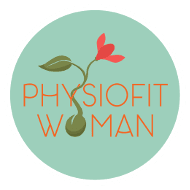 Antenatal Physiolates Programme was created by Deborah and has been taught in Dublin for the last 11 years. As part of her Continuous Professional Education, Deborah completed a 60h "Anatomy and Labour Course", Nuria Vives Method and is now the only therapist in Ireland holding this qualification enriching even more her Pregnancy classes. To prevent pregnancy-related conditions such as pregnancy back pain, pregnancy pelvic girdle pain, pregnancy sciatica, fluid retention and incontinence it is best that you start the Pregnancy Pilates Classes during your 2nd trimester. However, if you are already suffering from any of the above, regardless the stage of your pregnancy, Deborah will provide you with the safest exercises. If appropriate, she will also provide hands-on Pregnancy Physiotherapy treatments in order to achieve immediate relief. We operate a very busy Physio-Pilates studio where our classes are always in high demand and for this reason we cannot reserve places - we operate all our classes on a first paid/first served basis. Before confirming your booking and arranging payment please ensure you will be able to attend all the classes we run as we will not be able to facilitate refunds or make up for missed classes. In exceptional situations where you miss the entire course due to illness/hospital visits we will reserve the right of charging €60 administration fee and we will refund you any missed class upon presenting us with a Doctor's letter. All our Pilates classes will run once a week for either for four or six consecutive weeks (depending on Bank Holidays) from your course start date. Chartered Physiotherapy is eligible for refund with your Health Insurance: VHI, Glow Health, Laya Health Care and Irish Life.